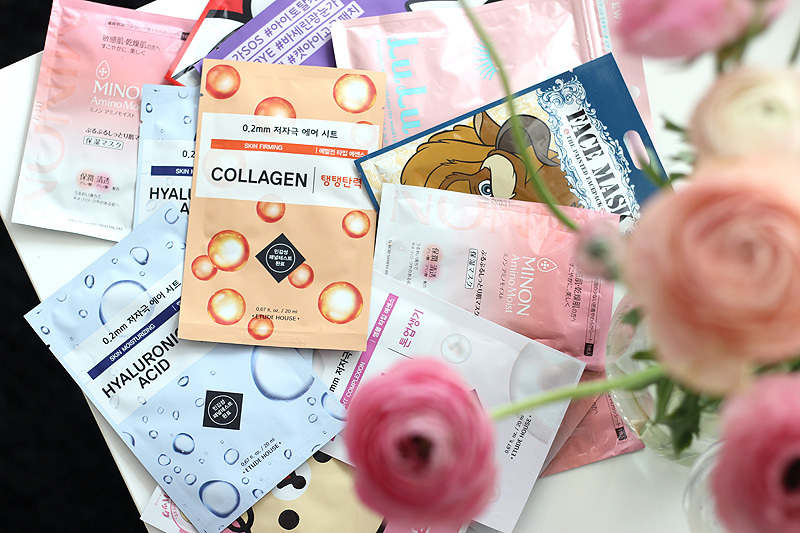 I've been trialling a couple of new eye products in the past half year and now I think I'm finally ready to have an opinion about eye care. I never really "did" eye cream until about a year or two ago. Now I'm even one step further: I'm all about eye masks, eye serums and eye creams. I know some specialists say eye products are just a marketing thing, but I notice a difference. I have a terribly fussy eye area (the darkest under eye circles, fine lines that won't give up and the odd dry patch once in a while), so I know all about trying to find a way to cope. Sometimes you feel like you just need some time in a bottle. Insert Philosophy's Time In A Bottle For Eyes - a new version of their famous and celebrated facial serum, formulated especially for the delicate eye area. 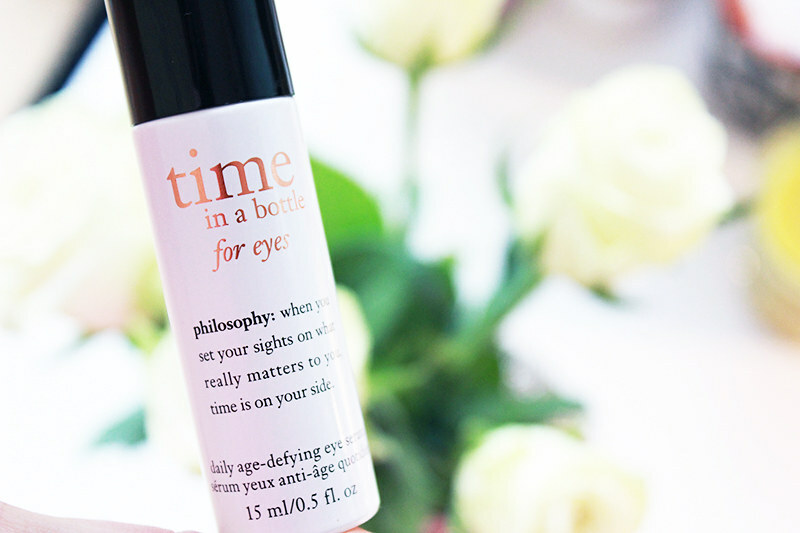 Let's turn back time, or at least try and make it run a little slower..
Time In A Bottle For Eyes is a powerful concoction, a quite liquid serum that I apply to my eye area before applying eye cream. It's all about skin renewal and protection; meaning it'll make your eye area firmer and brighter thanks to a spiffy DNA renewal complex. Carnosine peptide along with vitamin C will take care of some extra luminosity, gingko leaf extract and caffein will take away some of the puffiness and diminish darkness and an antioxidant complex with pomegranate will protect against free radical & photo damage. That's quite a mouthful.. So what does it do for me? It brightens, but doesn't take away my dark circles completely. So while they're still there, I still look more awake and they're easier to conceal. Keeping in mind that a lot of dark circles are hereditary and mostly just impossible to get rid of, I am pretty pleased with the result. It also firms my under eye area and takes away puffiness. It doesn't tackle my fine lines though, as I think these are mostly dryness related in my case. The serum is not meant to hydrate, but to tackle the ageing process. That's why I still use an eye cream afterwards, albeit quite a simple one as there's already heaps of power in the serum I'm using. Also important to note is that this one does not burn or sting, even though there's vitamin C in the formula. The eye area is quite sensitive; Philosophy formulated this serum with care. 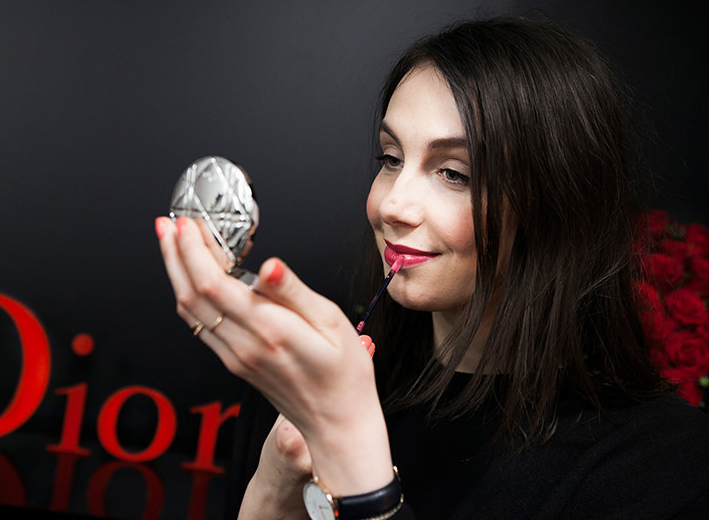 The serum comes in a sleek bottle with a pump dispenser. This is very hygienic, but do take care you don't push the dispenser all the way down as it'll dispense way too much product. I give it a gentle push and that's mostly more than enough.